Solar panels are panels that are typically placed on a roof to receive sunlight. The panels generate this sunlight into Direct Current electricity (DC electricity). The 3 different Solar Panel types you’ll hear of when shopping around are Monocrystalline, Polycrystalline and Thin Film. Monocrystalline and Polycrystalline are the two most common types of solar panels and are both highly reliable and efficient. There are debates amongst the industry claiming that monocrystalline panels are better than Polycrystalline panels and vice versa however, this depends on the brand and model of the panels. Thin Film has a reputation of being the ‘worst’ of the solar panel technologies due to its lower power efficiency. However, this only means they require more roof space for the same amount of power that Monocrystalline and Polycrystalline options would need. Brands and prices will vary for each solar panel option, so it’s best to discuss with an installer what type may be best suited to your roof and then review brands online as discussed previously. This is the oldest and most developed of the three technologies. Monocrystalline panels are created from a single continuous crystal structure. 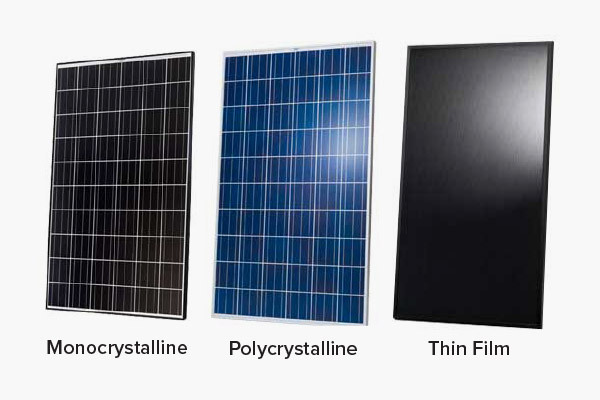 A Monocrystalline panel can be identified from the solar cells which all appear as a single flat colour. They are made through the Czochralski method where a silicon crystal ‘seed’ is placed in a vat of molten silicon. The seed is then slowly drawn up with the molten silicon forming a solid crystal structure around the seed. The rod of solid crystal silicon that is formed is then finely sliced and shaped into the solar cells you see making up solar panels. Polycrystalline or Multicrystalline are a newer technology and vary in the manufacturing process. Polycrystalline start as a silicon crystal ‘seed’ placed in a vat of molten silicon. However, rather than draw the silicon crystal seed up as with Monocrystalline the vat of silicon is simply allowed to cool. This is what forms the distinctive edges and grains in the solar cell. Thin film panels are a totally different technology to Mono and Poly crystalline panels. They are a new technology compared to Mono and Polycrystalline cells. A thin film panel can be identified as having a solid black appearance. They may or may not have a frame, if the panel has no frame it is a thin film panel. Each of the above are known as different panel ‘types’ but all fall under the umbrella of being a Thin Film panel. Thin film panels are made by depositing a photovoltaic substance onto a solid surface like glass. The photovoltaic substance that is used varies and multiple combinations of substances have successfully and commercially been used. 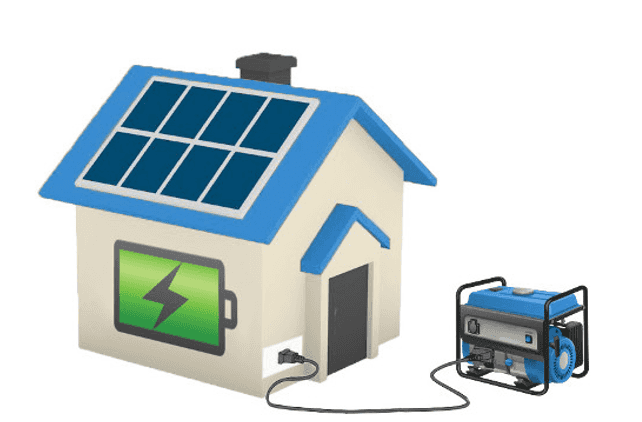 Top 4 Brands Available In AustraliaThere are many different brands of solar panels available in Australia. If you want to find out more on the highly reviewed brands in Australia, click here. 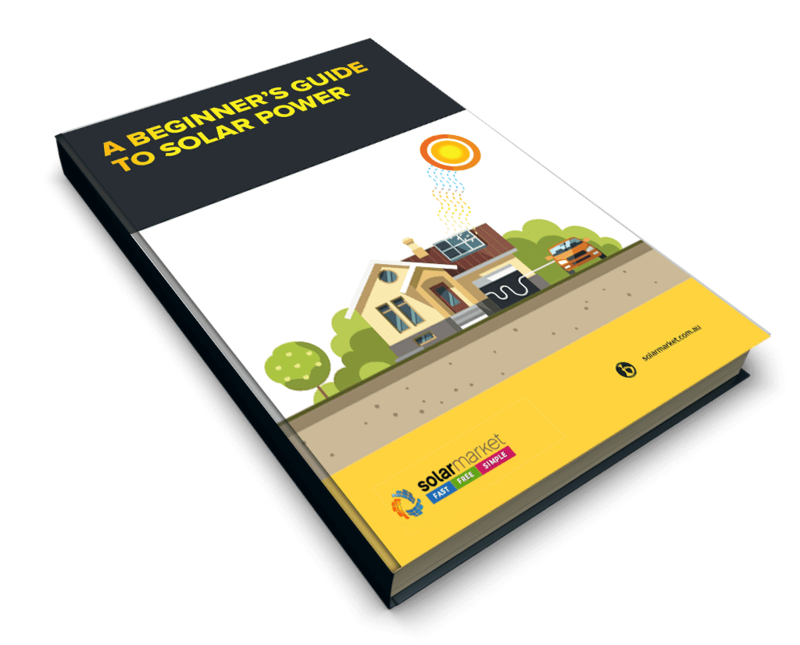 Receive quotes from solar installers including their recommendations for solar panels. Get Obligation FREE Quotes!